Eating fresh and local doesn’t have to break the bank or take you outside of your zip code. Here are five Miami-Dade farmers’ markets that are definitely worth a visit. From Jan. 8 through April 16, visitors to the Miami Beach Botanical Garden can find a wealth of local produce and artisan treats at the weekly Garden Market. Open from 11 a.m. to 4 p.m. every Wednesday, rain or shine, the market offers fresh bread from local merchant Zak the Baker and greens straight from the Little Haiti Community Garden, among other vendors. Since its founding in 2013, the market aims to “support local farmers and crafters” and to keep “more money and jobs in Miami,” according to the market’s website. From 11 a.m. to 5 p.m., the Garden Market hosts a plant sale and orchid exchange. Orchid owners can trade in their current plant for a $5 coupon to purchase a new bloom. The exchange offers and accepts all varieties of orchid and also sells palms, bromeliads and other tropical plants. The market also offers lunchtime yoga sessions from Terra-Nova. Yogis of all experience levels are invited to attend these relaxing and invigorating classes from 12:30 to 1:30 p.m. for a suggested donation of $5 for members, $10 for non-members. For more information, visit mbgarden.org. Founded in 2013, the Coral Terrace Farmers’ Market is the weekly home to 30 vendors, every Wednesday year-round from 8 a.m. to 3:30 p.m. Shoppers can find a bountiful selection from organic produce and tea, fresh-made pasta and guacamole, to artisan soaps and candles. 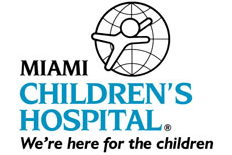 The market can be found at Miami Children’s Hospital in the courtyard between the emergency room and ambulatory care. For more information, follow the market and it’s sister locations on Facebook at facebook.com/FloridaFreshMarket. 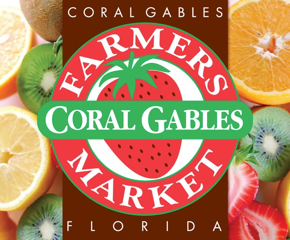 Each January, the heart of the Gables reawakens it’s locally-grown fresh market. Founded in 1991, this Saturday staple welcomes shoppers to peruse the wares of 60 vendors from 8 a.m. to 2 p.m in front of the Coral Gables City Hall, on the corner of Miracle Mile and LeJeune Road. The 2014 season runs from Jan. 18 through March 29. In addition to fresh Florida produce, the market offers prepared foods, baked goods, flowers and plants, free tai chi classes, gardening workshops, cooking demos and children’s activities. For more information about this City of Coral Gables-sponsored event, visit coralgables.com. Presented by Glaser Organic Farms, this year-round market has been serving up organic goodness and gourmet raw vegan foods since 1979. From 10 a.m. to 7 p.m., the market inhabits the field at the southwest corner of Grand Avenue and Margaret Street. Shoppers can expect local and exotic produce, an impressive salad bar and a variety of vegan food products including raw pizza, pies and dairy-free ice cream. For further info, check out the market’s website, glaserorganicfarms.com. Red Road and Valencia apartment dwellers, the South Miami Farmers’ Market is calling your name! This seasonal market is open every Sunday, November through May, from 9 a.m. to 2 p.m. Founded in 2013, the South Miami market consists of 10 stalls that offer a variety of goods beyond just local and organic produce including local honey, pastries, and prepared food. Just minutes from the South Miami Metrorail, the market, previously located next to the South Miami City Hall, will assume a new location starting Feb. 2 and will make its new home on Sunset Drive at 57th Court. For further details, visit the market site, themarketcompany.org/southmiami.